She is only 5 months old and has already given up. No one has picked her. And no one will pick her. She has been at a high kill shelter that is just used to euthanizing everyone that comes through the doors. She has reduced herself to her impending death. 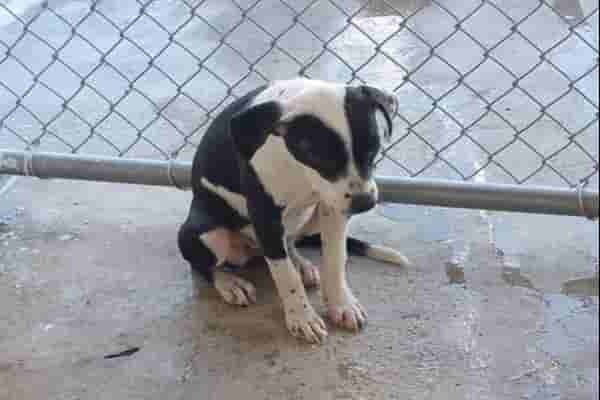 She should be too young to die, but in south Texas, she's the normal age, and the wrong breed. She desperately needs a rescue and foster to get out alive! Please help network her! Location: South texas, transport available to Dallas, San Antonio. PM if you can help. 10 Responses to "5 months old pup has already given up. No one has picked her"
shared on FB Shelter Shares Crossposter. I'm in Boise Id, if she could be transported, I will take her! I would take this precious in, I'm in CT contact me if needed!